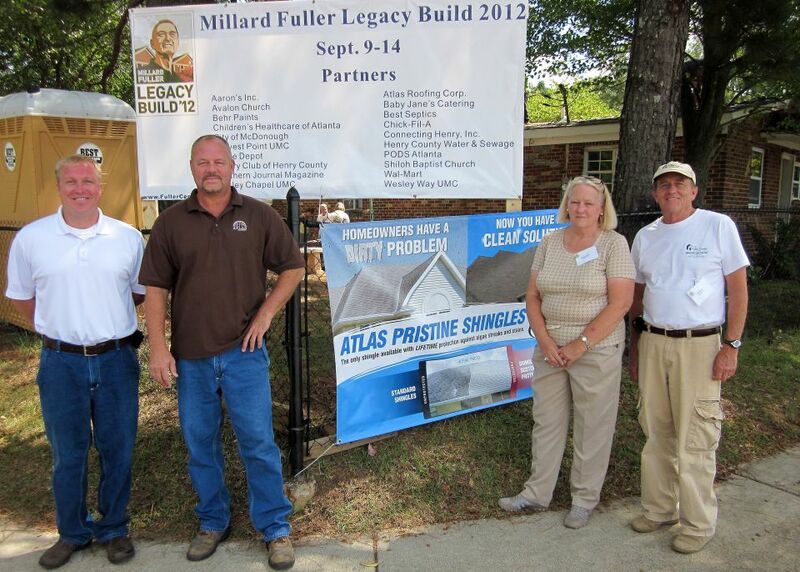 Atlas Roofing Corporation has given the 2012 Millard Fuller Legacy Build in Henry County, Ga., huge support this year by donating roofing materials that will be used to secure safe roofs over three homes in the fourth annual build. And the roofing materials are locally made at Atlas’ manufacturing facility in Hampton, also located in Henry County. The materials include 60 squares of Atlanta Pinnacle HP Weathered Wood Architectural Shingles, 15 rolles of #15 Specification Felt ASTM D-4869 Underlayment, three boxes of Pro-Cut Starter Strips and 12 bundles of color-matched Atlanta GlassMaster shingles and ridge cuts. 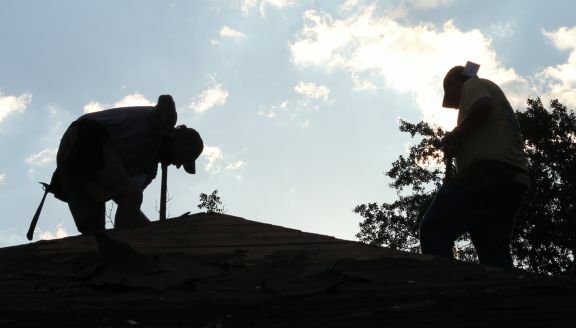 Atlas Roofing’s Hampton Manufacturing plant is one of the larger employers in Henry County and has contributed materials to The Fuller Center for Housing on several occasions. “The Fuller Center for Housing is such as great organization,” Hampton Plant Manager Dustin Davidson said. “It’s always enjoyable to be able to help local residents of Henry County, as well as assist an organization with international reach like The Fuller Center for Housing. View more photos from Atlas Roofing’s site visit on Monday.